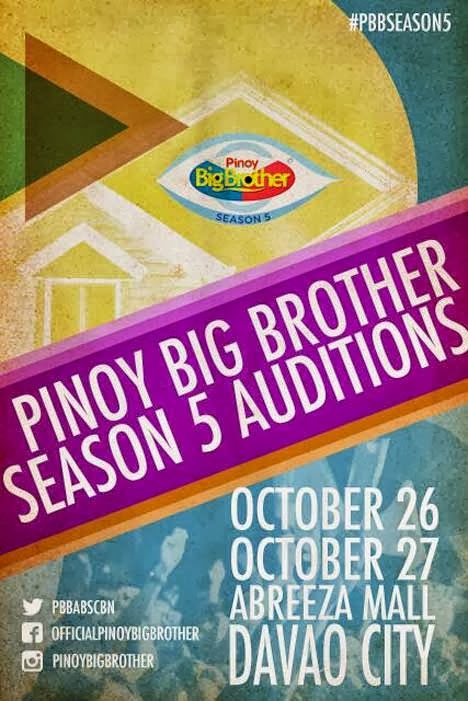 ABS-CBN is set to hold auditions for the PBB regular and teen editions at the Abreeza Mall in Davao City this October 26 to 27 weekend. In Thursday’s press release, the Kapamilya network says teens aged 12 to 17 years old may join the auditions for the reality show from 8AM up to 3PM on Saturday. On the other hand, the auditions for 18 to 35-year-old men and women will happen Sunday at same time and venue. The fifth regular and teen editions of “Pinoy Big Brother” will air on ABS-CBN soon, the PR stated.